Woodridge, IL - June 11, 2018: Orbus Exhibit & Display Group®, one of North America's leading trade suppliers of display, exhibit and event solutions is proud to announce the release of its 2018 version of THE PROMO HANDBOOK™. This new product catalog features portable and modular displays for the promotional products industry, including over 60 new displays, all with retail pricing on a “C”. Orbus' newly introduced products range from collapsible displays, banners, table throws and much more. 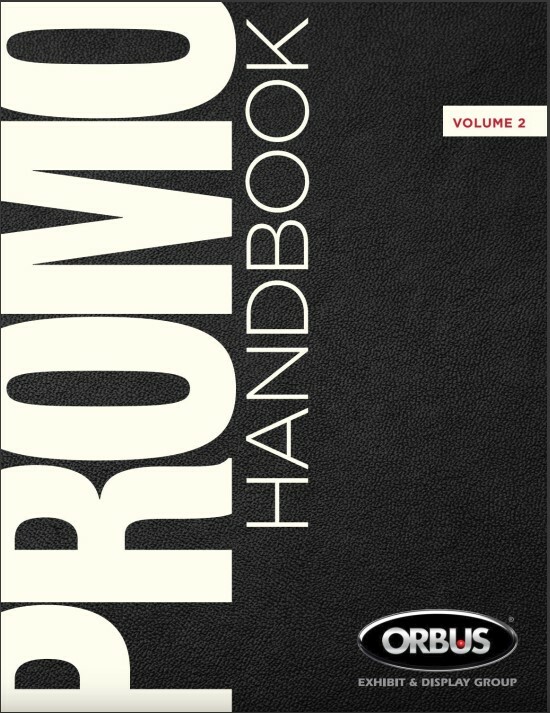 The entire product offering can be found online at http://www.promohandbook.com/ as well as on ESP, SAGE, Distributor Central and ZoomCatalog. 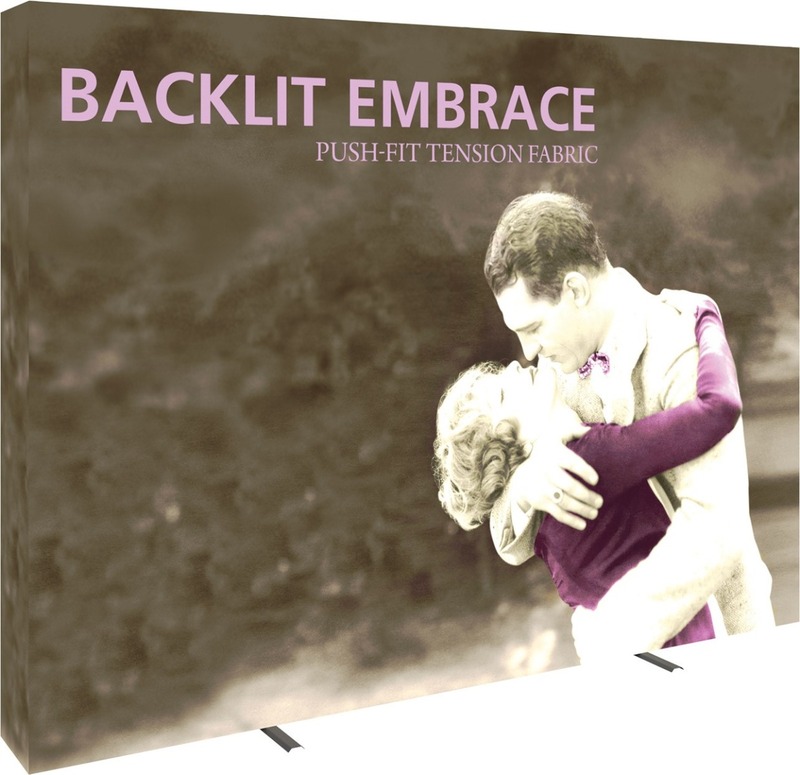 The Backlit Embrace™ Collapsible Displays are perfect for tradeshow and retail environments. Combining LED lights, eye-popping SEG push-fit fabric graphics and easy assembly, the Backlit Embrace is a portable display sure to catch the eye of onlookers and promote branding with ease. The Backlit Embrace is offered in four different sizes, ranging from tabletop to 12' wide. 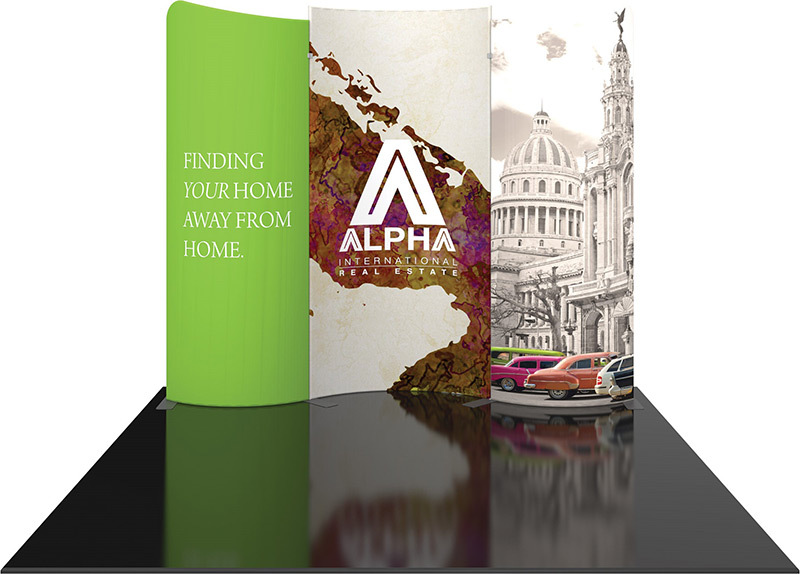 The Modulate™ Mix & Match Fabric Banners offer over 14 banner shapes and sizes to choose from to mix and match and design your own display! Magnetic frames allow for easy connection and reconfiguration. Modulate frames feature aluminum tube frames with internal magnets and are dressed in pillowcase fabric graphics. This extensive product line offers banners and walls that can be combined to create storage closets, conference areas, and used as divider walls for any setting. Also featured in the 2018 PROMO Handbook are two new table throw solutions, the Front Printed Table Throw and Fitted Outdoor Table Throw. The Front Printed Table Throw offers a limited, full color dye-sublimation print area on the front, and features a white fabric backwall. The Fitted Outdoor Table Throw is printed on water-resistant outdoor canvas and offers excellent durability against the elements. Both table throws are offered in 6' and 8' options. Orbus Exhibit & Display Group offers promotional products distributors one of the largest ranges of quality exhibit and display products in the USA - from portable displays to fabric structures and modular exhibits to sign solutions and more, through its dedicated brand The PROMO Handbook™.